Head and shoulders portrait of Brian Charlesworth taken outside the Ashworth Laboratories at the University of Edinburgh, September 2017. Brian Charlesworth is a British evolutionary biologist he was elected a Fellow of the Royal Society in 1991. 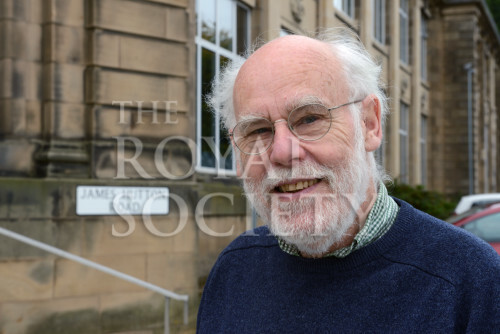 He was awarded the Darwin medal in 2000 in recognition of his distinguished work on selection in age-structured populations, extending the theory to the evolution of ageing, and testing the theories of mutation accumulation and pleiotropy, developing models for the evolution of genetic systems.